Peak Project, 1999. Tin milk cans and wire. Crumbling Wall, 2000. 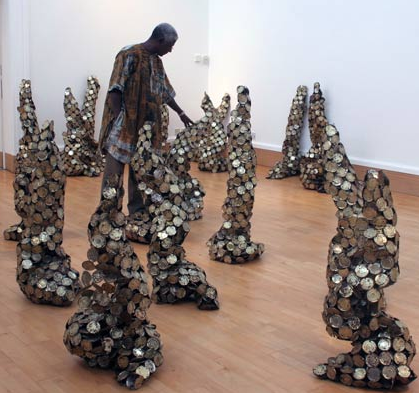 Old cassava graters. 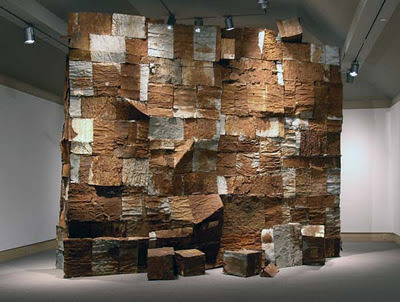 Skin of Earth, 2006. Aluminum bottle tops. 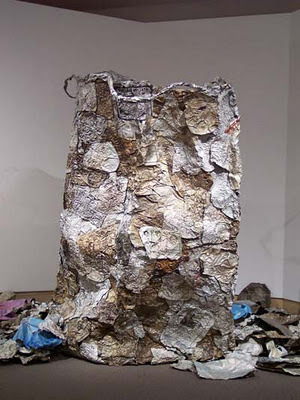 Wastepaper Bag, 2003. Discarded printing plates. 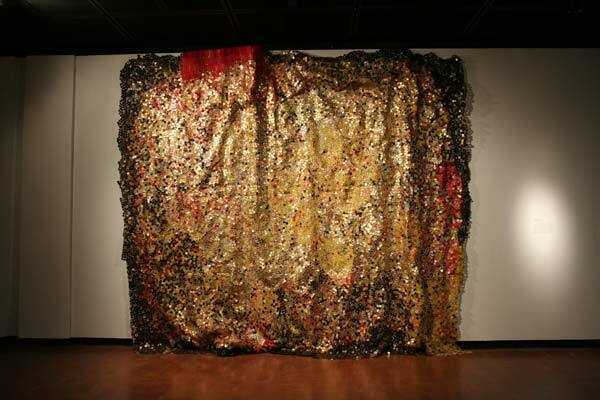 El Anatsui, inspired by the "huge piles of detritus from consumption" that pile up in the developing parts of western Africa that lack proper recycling programs, has been fastening, twisting and turning found objects into large-scale art pieces. 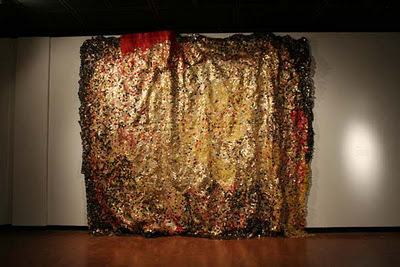 Each piece is carefully comprised of thousands of bits of hand-collected trash. The sheer input of time on these projects is a clear reflection of his concern for the environment and healthy living in western Africa. See the details in his large-scale pieces here.